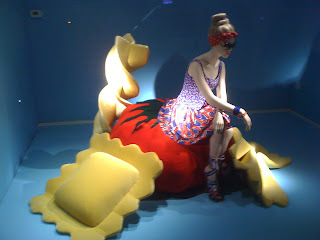 Check out this rendering of me sitting on a tomato surrounded by some of my favorite pasta shapes. I have often had dreams like this but I am dying to meet the artist who knew this and brought my dreams to life. If he is a true genius there is a sausage and cheese filling in that ravioli. Want to know if Goldman Sachs employees get special treatment at Shake Shack? Click through to this great piece of investigatory journalism.